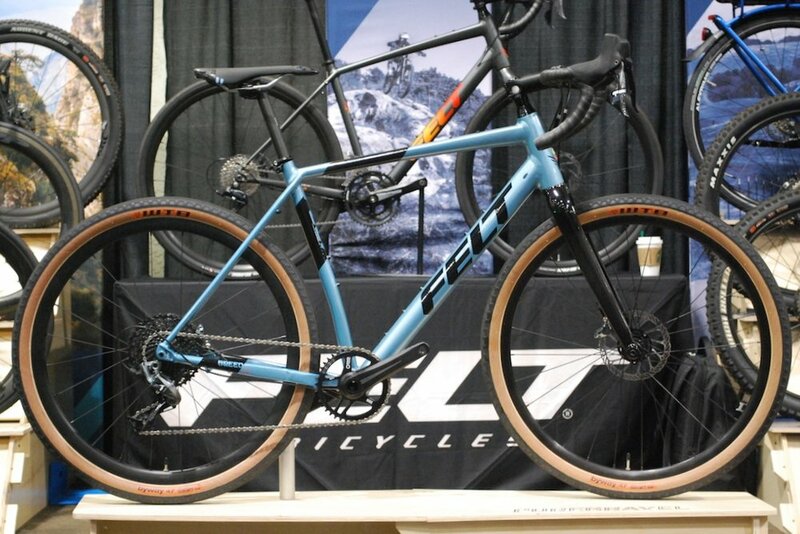 Felt was at the show with a good number of bikes on display. 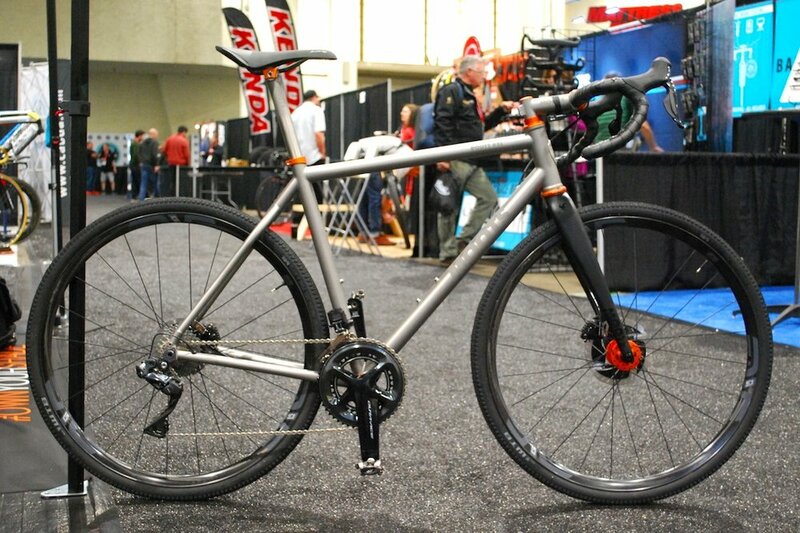 Front and center was this one, the all new aluminum Breed gravel bike. A nice looking bike at an attractive price, we love that the Breed comes equipped with 650b wheels, WTB Byway tires and the Force 1 drivetrain. This one shown costs just $2649, and if that’s still too steep they have a 2x version that’s just under $2000. Great job Felt! 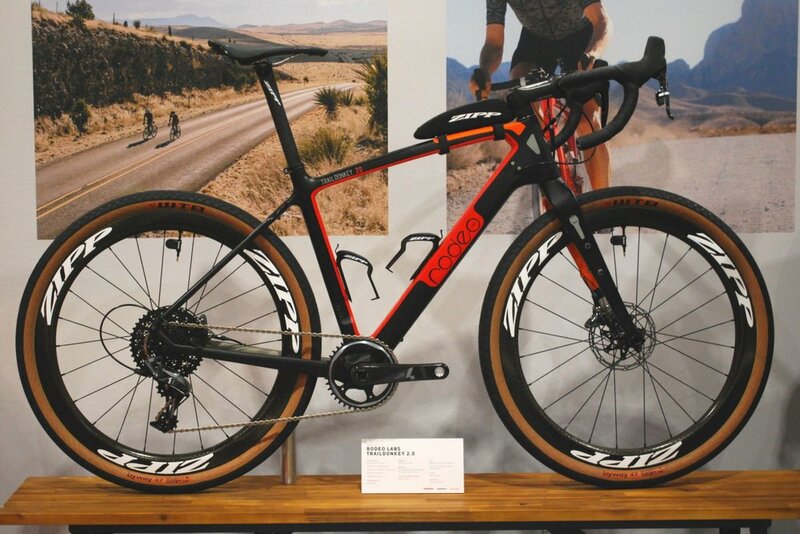 Over at the SRAM booth was this guy, the Trail Donkey that was on display at the 2018 Sea Otter Classic. While the all new 3.0 was just announced, the 2.0 still caught our attention. Fully equipped with goodies from Zipp and SRAM, this custom Donkey can take on everything from Kanza to Leadville. 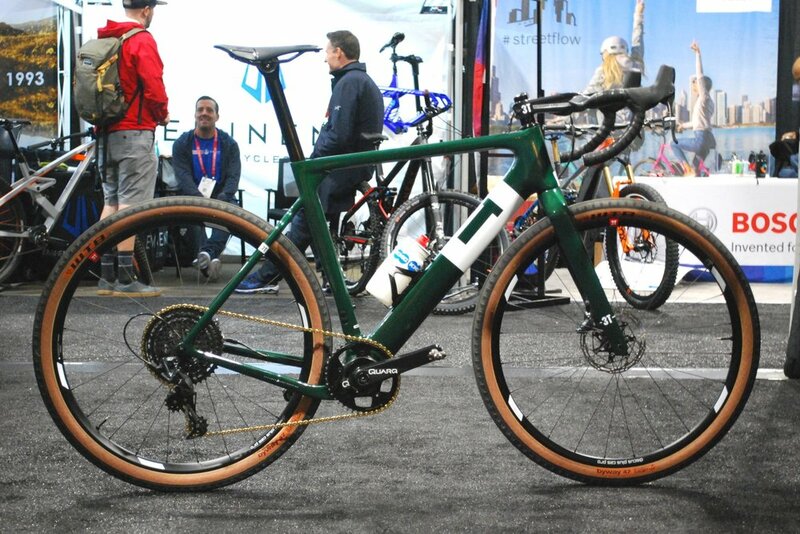 Over at the KMC booth was this beauty, a coveted Team Force Green edition 3T Exploro. Our first time seeing it up close, the color looks great especially in contrast to the tan sidewall tires. The rest of the build included a Quarq crank, SRAM Force CX1 drivetrain and Discus Plus C25 PRO 650b wheels. This limited edition color checks in at $4,500 for the complete build and is available only while supplies last. 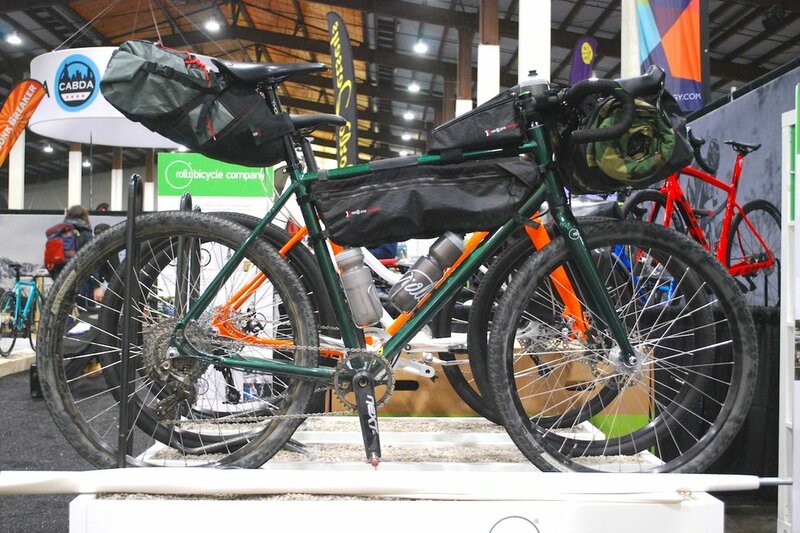 All the way from Columbus, Ohio, Roll Bicycle Company was on hand with their AR:1 Adventure Road bike. With a thin layer of dirt still visible, the AR:1 is Roll’s interpretation of a simple, capable, efficient all-road machine. Designed to tackle longer gravel and multi-surface rides, Roll delivers the AR:1 for explorers and all day adventures. Apparently there is quite a story around this AR:1 they had on display, and we hope to bring you more on that in the coming days. The AR:1 is an all aluminum frame and fork, starting at just $949. The star of the show was none other than this beautiful Moots Routt RSL, pure gravel performance with ENVE G23 wheels, Dura-Ace drivetrain, and Chris King hubs. The RLS has 40mm tire clearance, race geometry and that handcrafted titanium feel. Now if we could just afford one. Thanks for reading, let us know in the comments below what other products or events you would like to see us cover!